If you are looking for the best retirement community, remember that in all cases, it is the one that suits your needs and desires best, so make sure to look around before you choose. 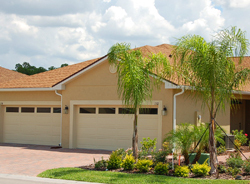 Century Residential, for example, offers Vienna Square, a fine active adult community. What features do you or you and your spouse consider most important in your retirement home? One thing almost everyone wants is low or no maintenance, and Vienna Square definitely provides that, and so much more. Vienna Square is located in central Florida. This area is known for its mild year round climate; no ice or snow down here! A short drive gets you access to beaches on both coasts and all the entertainment you could ever want. Tampa and Orlando offer a wide variety of entertainment choices, including theater, music, museums, shopping, restaurants, theme parks, and so much more! Even closer by, in Winter Haven, you will find shopping, restaurants, houses of worship, parks and a library; there is even a mall down the road. On site amenities are very important. Even if you drive now, that could change, and you want to make sure there is plenty on hand within the community to keep you happy. 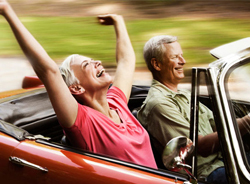 So what does the best retirement community for you need to include? Vienna Square offers luxurious homes, safety and security, a beautiful and well-maintained environment, and ample opportunities for social activities. 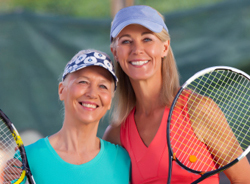 Our clubhouse is the perfect place to make friends and enjoy activities like dancing, movies or billiards; while our fitness center features exercise equipment, tennis, and an indoor heated swimming pool. A retirement community might work for you now, but what if you should become less able?Vienna Square offers our Continuing Care Campus, so you can take advantage of additional a la carte services which are available as needed. Services such as meal plans, laundry, housekeeping, transportation, wellness exams and medication management can be purchased either short term or long term as needed. Century Residential has a long and successful history of designing and developing Florida retirement communities that are exactly what seniors are looking for when they retire. We would never ask you to commit without visiting to see for yourself; after all, choosing the right retirement community for you is a very personal decision. Let us arrange for you and your spouse to come and experience the comfort, see the homes and community spaces, meet our staff and residents, and then decide. 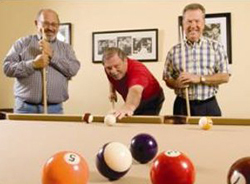 Vienna Square is second to none for amenities, location, flexibility, and ongoing care options. You can trust Century Residential to always offer the very best retirement community for those wishing to retire in Florida.